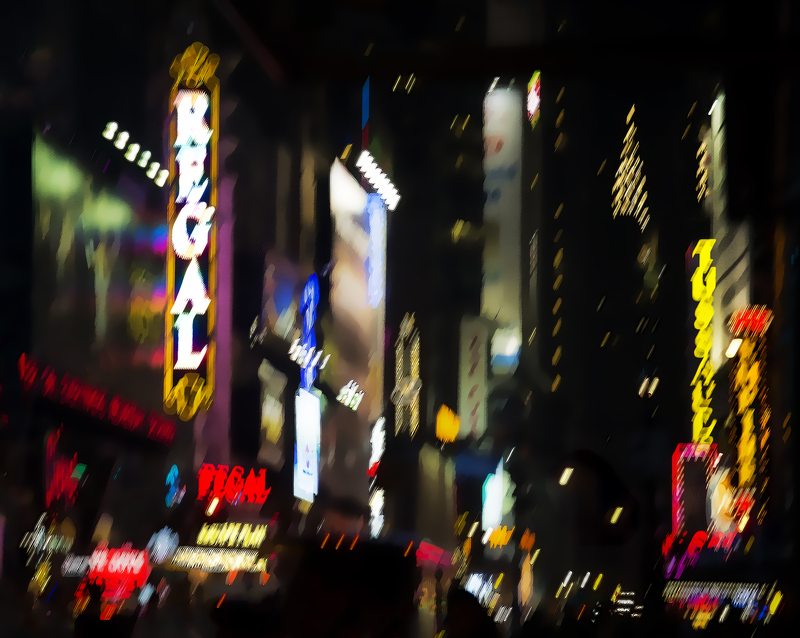 Every time I go to New York, it’s a whirlwind; it’s a blur. It’s colourful and intense and magical. It’s full of contrast. I remember my first Broadway show back in 1982. Ellen Burstyn starred in a one-woman show called 84 Charing Cross. I was bowled over by the rich and intricately decorated theatre (I think it was the Nederlander) and was held rapt for a few hours by her tour-de-force performance. Since then, I flash back to Kathleen Turner lolling about on a bed in a silk dressing gown in Indiscretions, Tyne Daly belting it out in Gypsy, Twiggy and six-foot-six Tommy Tune dancing up a storm in in My One and Only, Paul Giamatti making his Broadway debut in Arcadia, the emotional power of Les Miserables, the pride in watching Canadian Brent Carver star in Kiss of the Spider Woman, the surprise of David Hyde Pierce in a role so unlike Niles in Frasier in Curtains, and the thrill of seeing hero Alan Alda playing in the urbane and witty play Art. Somewhere in there I remember laughing at Lily Tomlin’s amazing characterizations in her one-woman show The Search for Signs of Intelligent Life in the Universe. Thirty years of Broadway shows do become a bit of a blur from this vantage point, but ah, what a beautiful blur! This time I saw the musical Lady Day, featuring the incomparable Dee Dee Bridgewater as Billie Holiday, one of my favorite jazz singers.When I closed my eyes, I really thought I was listening to Lady Day herself. I like you description of ‘a beautiful blur’… your image captures for me exactly this idea of magical moments, vibrant and exciting, that stand out in our memories. What I love most is that you can see instantly where this is simply from the shapes described by the lights. It is always an extra delight to find a Hollywood star in the big cities…when we were in Toronto…Farrah Fawcett got in the elevator with us in the Four Seasons Hotel….you should of seen my husband…LOL! Have a great trip. Love the colorful light blur!! Awesome and your memories are remarkable! I’ve surely been mesmerized by your photos and words, and I hope you continue to linger in the emotional phase of your visit. Awesome Sherry!! How do you remember all those details??? My memory’s more like your photo: abstract and blurry!! Wonderful reminiscences, Sherry. Everyone wants to go (or return) to New York after following all your entries here! I can feel the thrill in the air! Although I don’t know most of the names (for the most part unknown in Europe) you mentioned above, I can definitely feel the excitement and the atmosphere! I love the abstract feel of this photo! I just love this shot!! !